By default, if closes application main window, application still runs. When closing modal window, application cannot recognise closing modal window, and keep modal status. Steps are same to prevent running modal window and main window. We need to assign Window delegate to File’s owner using XCode. 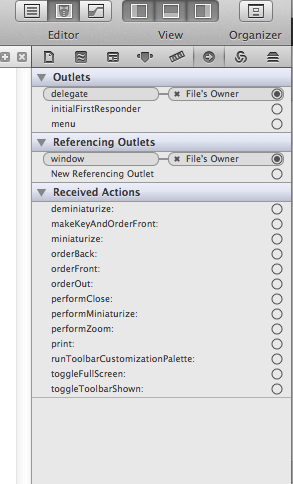 Click window in InterfaceBuilder and point delegate and drag drop to File’s owner.